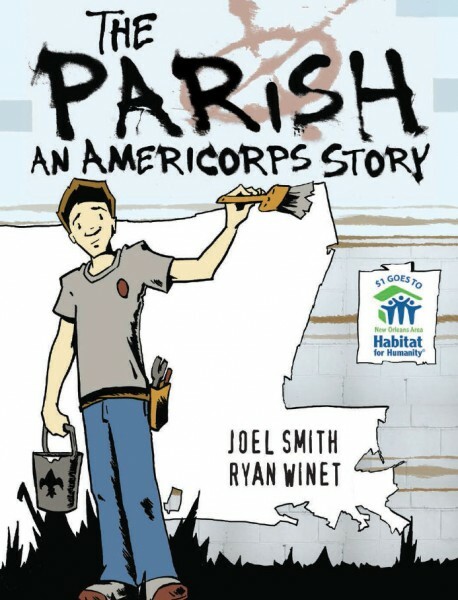 The Parish is based on Joel Smith’s time in the AmeriCorps, a non-military national service program that I had no idea about until reading this sweet-natured graphic novel. Charmingly illustrated by Ryan Winet, An AmeriCorps Story details young volunteers working to rebuild St. Bernard Parish, Louisiana, after the devastation of Hurricane Katrina. 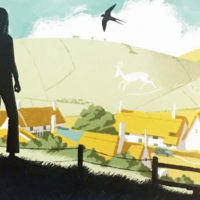 The book is your archetypal coming-of-age drama, with protagonist Leo finding love, friendship and responsibility along the way, but it’s heartfelt and earnest. 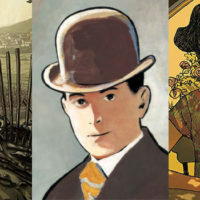 I can see its central theme of selflessness proving a positive influence on teenage readers. Interestingly, the book was published in two editions: an initial “clean” black and white version, and a “storm-damaged” edition that replaced that following the 10th anniversary of Katrina. I read the former. 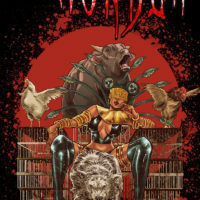 Visit parishcomic.com for more information on the book. 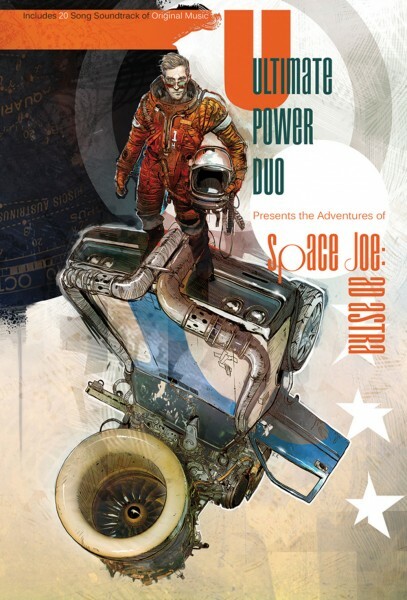 A fair few years back, I reviewed a similar concept based around Scroobius Pip songs, but The Adventures of Space Joe: Ad Astra‘s segments are stringed together by a cohesive narrative. 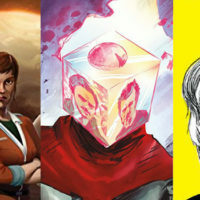 Each 3-5 page contribution is less of a short story than a chapter in the life of the eponymous Joe, a dreamer whose journey to the stars takes him beyond the periphery of human perception. Such indie artists as Donny Sparrow, Nathan Wall, Ken Davis, Jordyn Bochon, Elaine Will and Cate Francis were given the corresponding song and the basic themes behind it, and left to illustrate it on their own. 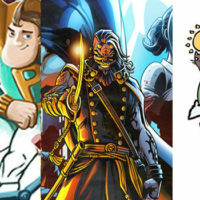 This lends the book a cool fractured effect, with ships, costumes and character designs changing with the artists. The album itself ain’t half bad, either – you can sample a few tracks here, or see the entire project at www.ultimatepowerduo.com. 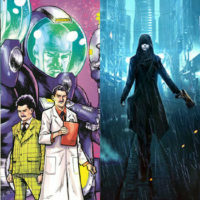 215 Ink’s take on kaiju is currently in its second “season”, and I decided to jump straight in at volume 2 #1. Look, it was just sitting there, all innocent and unread. Set in a world ravaged by giant monsters, Enormous follows in the footsteps of The Walking Dead by focussing on the human survivors and for the most part leaving the monsters in the background. There’s a strong Mad Max vibe here, and Mehdi Cheggour’s art is beautifully bleak. 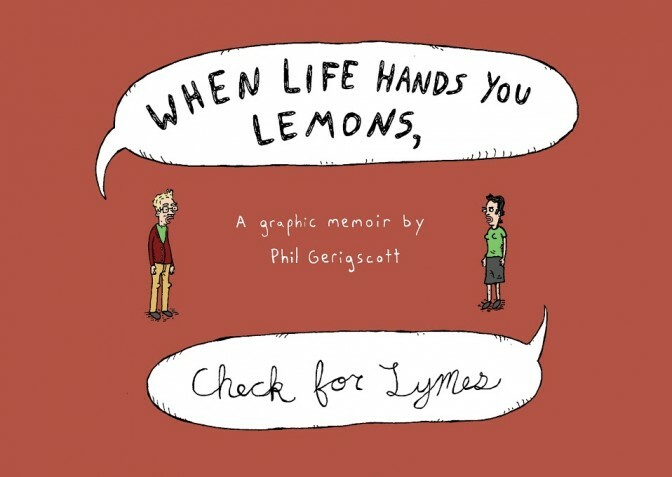 Phil Gerigscott’s graphic memoir about his tribulations with Lyme disease is far less po-faced or worthy than it sounds. The thing I liked so much about this book is that, despite its central subject matter, Gerigscott’s tone isn’t tragic, inspiring, life-affirming… or any of those other buzzwords used to sell autobiographic works. Instead, Gerigscott perfectly captures those tiny highs and lows in average, everyday life, the sort of life in which we postpone actually solving our problems and instead take pleasure in complaining about them. The result is a sweet little story that benefits from its warm and personal approach. 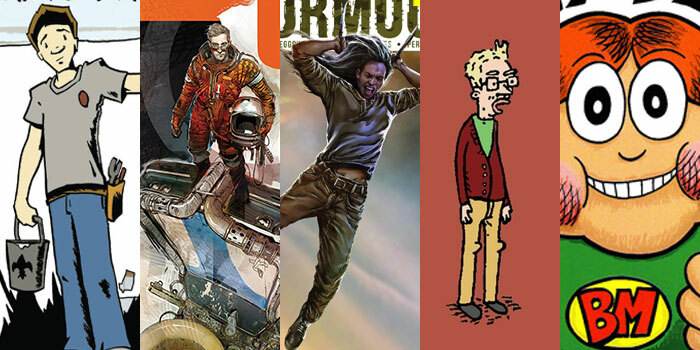 I especially appreciated the single-page strips between scenes that are often completely unrelated to the overall story, but demonstrate the passing of time with a drollness and irrelevance that is entirely relatable. When Life Hands You Lemons, Check For Lymes is available via Etsy. 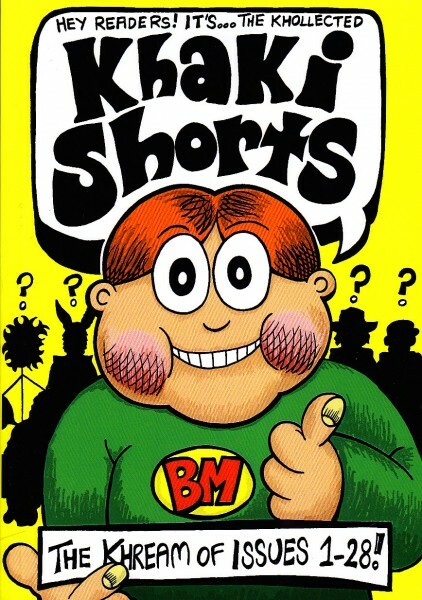 In my youngling years, there used to be a ton of British comics that were slightly edgier (or as edgy as they could be) versions of The Dandy and The Beano. 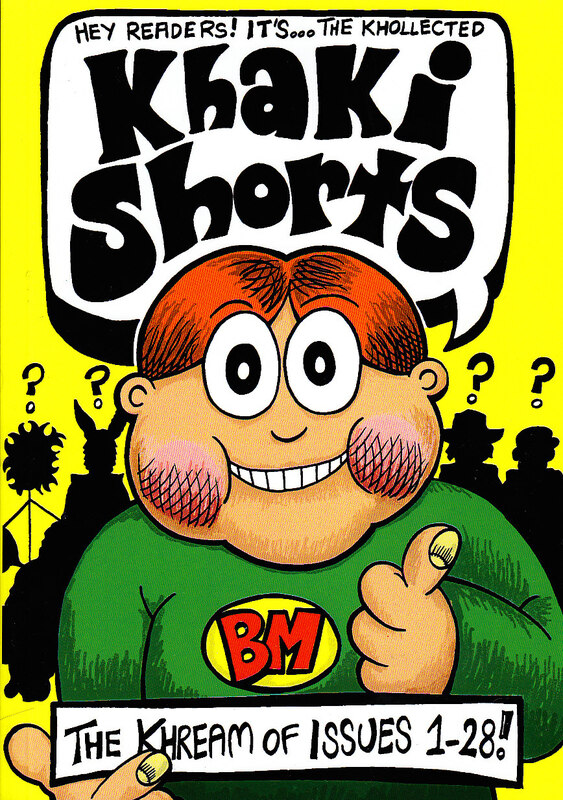 I would have loved for the future me to hand me a copy of AJ Smith’s Khaki Shorts, an anthology from Glasgow that apparently ran for over 28 issues from 1999-2011. I’d have laughed ’til I broke something. 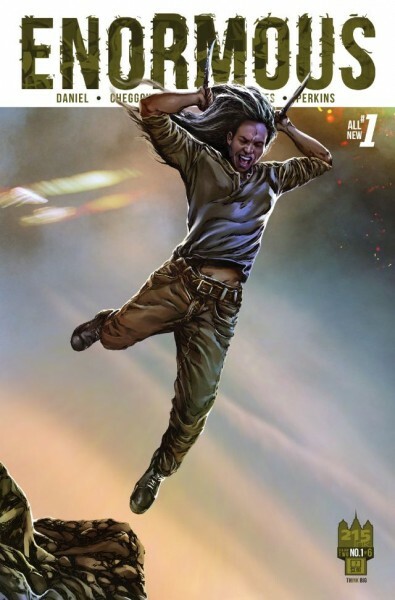 This collected volume from Braw Books is silly, irreverent and immature in the best possible way. It’s also incredibly funny, and Smith celebrates the loser on almost every page; in one hilarious 4-page strip an ineffectual singleton manages to pull the girl of his dreams by cutting out an image of Kaiser Chiefs singer Ricky Wilson’s face and placing it over his own. For me, the highlight was an empty panel that read “Special reader offer! This space has been left so you the reader can draw your own interpretation of the above description!” Bloody brilliant. The Khollected Khaki Shorts is available over at brawbooks.co.uk.